Single-edged blade that curves up gently its entire length, maintaining the same width until the tip where there is a slight taper and a false edge. Avg. 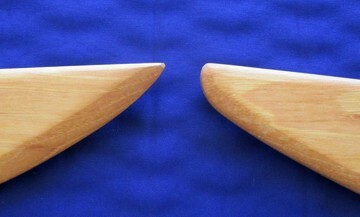 point of balance – 5″ to 6″ from the guard. Avg. weight – 1.2 lb. to 1.5 lb. Blade length Choose an option26"27"28"29"30"31"32"
SKU: 135. Category: Dao. Tags: Liuyedao, tai chi sword, taiji sword, Willow Leaf Saber, wood tai chi saber, wood tai chi sword, wooden sword, wooden swords.